Hello adventurer! You might have learned all your talents and found all the epic skill-scrolls hidden by the nightmares of Forsaken World, but we promise: This is not the end of your way to real strength! 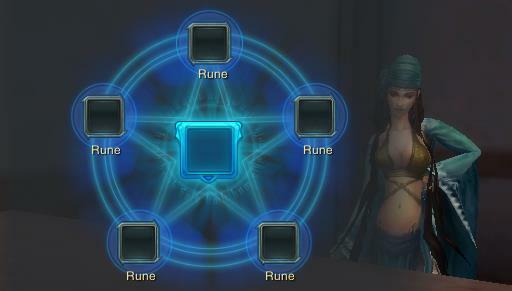 Forsaken World is offers a complex soul power system which will set free rune slots to increase your skills even more. This short guide will explain where to find runes and how to use them. So keep your eyes open, especially if you've reached level 60! Where can I find runes? Join your guild each Saturday in the territory wars. Your efforts won’t be unrewarded, as you will get 1 random ‘Advanced Rune Lv1’ (yellow, blue or red). If your guild is very open minded and your guild leader has a huge heart, you will have another chance to get your ‘Advanced Rune Lv1’ by joining the winner ceremony after the war. How many runes your guild receives in this celebration depends on the rank of your guild on the leaderboard. Follow the world chat announcements (especially notifications in blue) and find out where the ‘Dusk-Envoy’ is hiding (always near the zone of Nightfall Citadel). You should search for him with at least 3 group members to join the instance – but hurry up! The Dusk Envoy will only last for 20 minutes. If you finish the instance successfully, you’ll be able to call a small boss with a ‘Blood Mantra’, which will offer you runes level 1 and 2. Depending on the quality of your ‘Blood Mantra’, the loot of the boss will be better. Hint: You’ll find ‘Blood Mantra’ in the training grounds. Visit NPC ‘Melinda’ to exchange the ‘Blood Mantras’ you collected for a better quality. Group up with 5 players and enter Ghostfang-Castle. In this instance, your group position decides the loot. If you’re the lead of the group, you will get Runes level 2. If you’re joining this instance in the role of a group member, you will get level 1 Runes. The leader of the group needs at least 60 points in dedication to enter this instance. Hint: Make sure all 5 group members have been active enough and reached 60 dedication so you will be able to enter this instance 5 times in a row! You might have already noticed that runes are not directly available in the Eyrda Boutique, but there is a chance to receive Runes from our magic orbs to complete your rune collection. 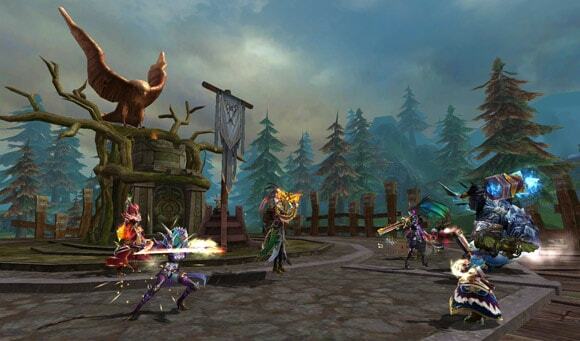 Would you like to increase your skills and abilities in PvP? Then you shouldn’t miss the daily participation in Frotsgale Fjord and get your free ‘Decree Rune’, which will give you with level 1 some extra bonus for your ‘Anger’ abilities in PvP. Read the description of the rune very carefully, as not every rune gives you the rate you’re looking for. Now I have the Rune-collection. What’s next? Go and see Josselyn in Nightfall Citadel to exchange or upgrade your collected runes. If you have 2 runes of the same rank, you’ll be able to exchange them for a new rune. The result between 2 different colored runes will be a random colored rune of the same rank. Two runes from the same color, but different classes can give you a rune of a new class. You got 5 runes of the same rank? Then it’s time to upgrade them to the next level! The rules are the same as for the exchange: 5 yellow runes will give you a yellow upgraded version, but 5 mixed runes, will give you a random colored upgraded Rune. Hint: You should check your runes before upgrading them: Are they bound or unbound? If you mix both types, you will receive a bound rune, which you will not be able to trade anymore. Do you want to create a Rune for yourself and your character? In that case, it might be a good idea to consider buying a “Runemaker” for your class in our boutique. Important: We learned, that there are 3 different types of Runes in Forsaken World (Normal Runes, Advanced Runes and Decree Runes). You can only connect runes of the same type and rank (not matter if you choose the exchange or upgrade system)! What can be improved by collecting and upgrading runes? Colors of Runes and ranks of Runes, as well as points they have in their description, will unlock more power for your character. The Soul Power Tree can bless you with shorter cool downs, longer stun times, or refreshed skill bonuses. Advanced Runes are going to have bonus abilities for your already existing skills beginning with rank 2. Normal runes offer such a bonus at level 3. Follow the description of your created runes and build an absolutely exqiusite character! We wish you lots of fun and success on your rune hunting!